this game is going to be epic! 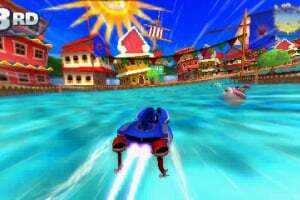 I really want this game!!!! 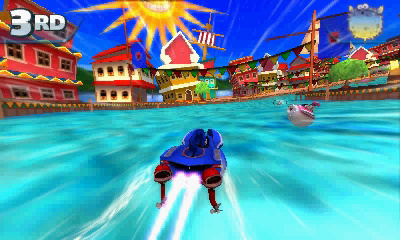 Oh and it even looks better than Mario Kart 7! 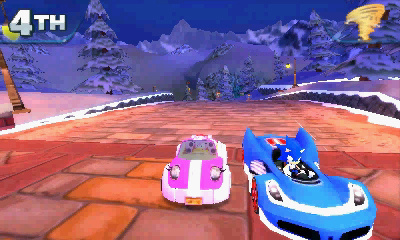 I love how Sega just made this game better than Mario kart 7, well done. Mario Kart has gotten old. 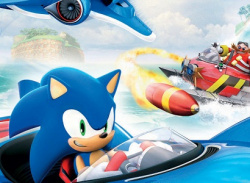 SEGA is bringing the dead to life. My Anti Game and Watch disagrees with you. I think that this will be on par with Mario Kart 7. No better, no worse. It really depends on wehther you are more of a sega fan or nintendo fan. I am more of a nintendo fan. 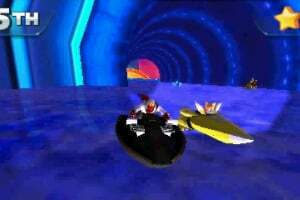 The only sega franchises I enjoy are Sonic the Hedgehog and Super Monkey Ball. 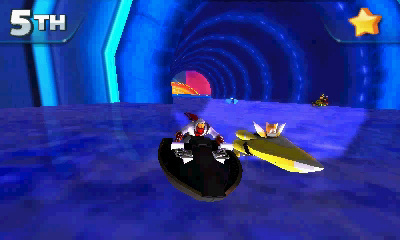 This all looks cool and maybe something I'm forward to (the Wii U version), but do you know what be a perfect racing? 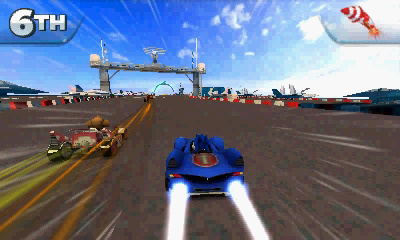 A Transformers racing game, though I think the Decepticons would cheat. 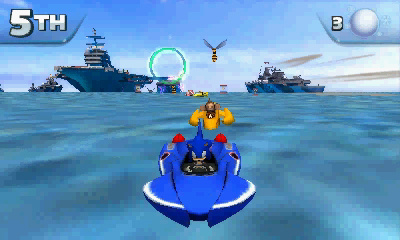 I would certainly expect Eggman to cheat. 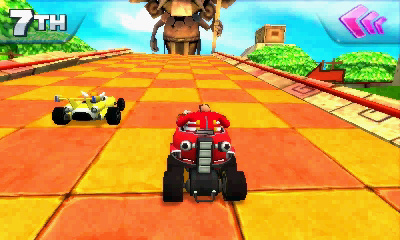 Looks like it took inspiration off of Mario Kart 7.
please i hope that Mario would be in the 3ds version. 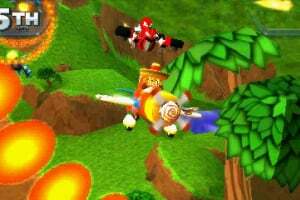 would it be cool if mario was in a transforming wild wing form mario kart wii? WHEN ARE WE GETTING A US RELEASE! 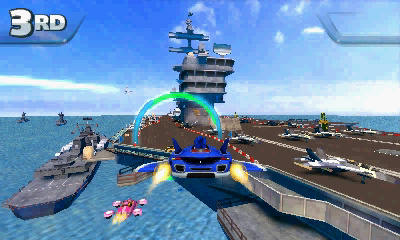 N64 MK will always be the best BUT THIS LOOKS EPIC! 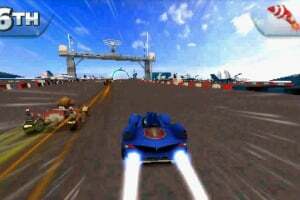 Review of this game please? I didn't even know it came out because you never reviewed it. Is it any good at all? Could people PLEASE comment on how the game actually is instead of just cheering for it before it comes out, that is so utterly worthless. Is this game out? It says it is based on the date.. If wrong, please correct. I'm curious on how this version will turn out. I love the PS3 version, but I wouldn't mind also having a portable version. 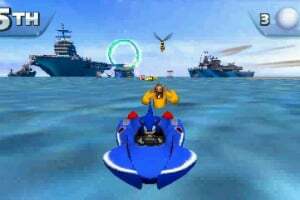 so how exactly will eggman conqure the world bye racing???? Looks amazing! Gonna download it on the day of its release. Out tomorrow in Europe?? We've barely heard anything about this game yet, and it's out tomorrow!? omg epic game just got it!!! 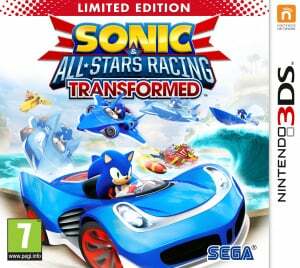 woohoo sega...im getin this racer to compare to mk7. 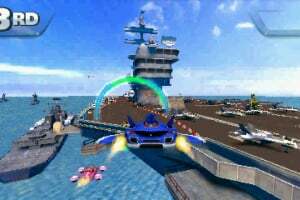 Not comparing MK7 and this game! They're both good and both worth playing. Got mine for the Vita though because I already had some money on it. can some one tell me how to put my photo on here !!!!!!!!!!!!!!!!!!!!!!!!!!!!!!!!!!!!!!!!!!!!!!!!!!!!!!!!!!!!!!!!!!!!!!!!!!!!!!!!!!!!!!!!!!!!!!!!!!!!!! 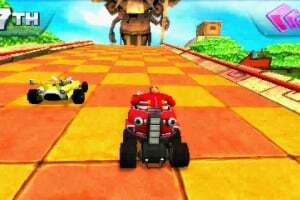 those who are saying its better than mario kart 7 i ask you all this~? @renaryuugufan92 I agree. i was just playing and the framerate was just bad. I want to like this game, but the framerate just dosen't lead me to play it more. After completing the Tour and grand prix i'll be sending it back. 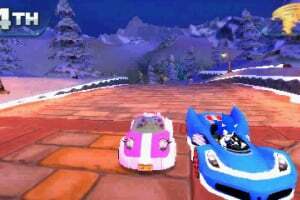 If you like racing or sonic, it's ok, though anyone else just wait for luigi's mansion dark moon. That's going to be a great game!!! 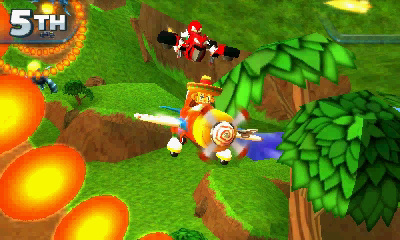 Thanks for the demo, now I know I won't get it on the 3ds. That's perfectly fine by me.